O.J. Simpson’s lawyers said Tuesday they will take his case back to the Nevada Supreme Court, hoping justices will overturn a lower court judge’s decision last week denying the former football star a new trial in his armed robbery case. A notice mailed Monday to the state high court gives Simpson’s new legal team until Jan. 13 to file documents supporting their claim that Simpson didn’t receive a fair trial and challenging the recent ruling by Clark County District Judge Linda Marie Bell, Simpson appeals attorney Patricia Palm said. "We remain convinced there were errors," Palm said. Bell’s ruling means Simpson, 66, isn’t eligible for parole until he’s at least 70. Based on a ruling last week, O.J. Simpson would remain behind bars into his 70s. Palm and attorneys Ozzie Fumo and Tom Pitaro failed to convince Bell that Simpson received ineffective representation from lawyer Yale Galanter, who headed Simpson’s 2008 trial team and his initial appeal to the Nevada Supreme Court. Galanter defended his performance during hearings in May and said after Bell’s ruling on Nov. 26 that he did everything in his power to defend Simpson. Palm characterized Simpson as being ready for the next step in his appeal. I don’t expect them to get any relief from a Nevada Supreme Court which didn’t seem to have any sympathy for Mr. Simpson on direct appeal. She also said she was preparing to ask the U.S. District Court in Nevada for Simpson’s release on grounds that his constitutional trial rights were violated by ineffective assistance of counsel. That filing could also come in January. Simpson is serving nine to 33 years in a Nevada prison for his conviction on armed robbery, kidnapping and other charges. A jury found him guilty of leading a group of men in a September 2007 confrontation with two sports memorabilia dealers at a Las Vegas hotel. Two of the men testified they brought guns to the meeting. 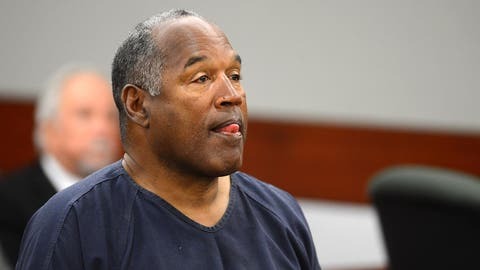 Simpson claimed he was trying to retrieve items that had been stolen from him after his 1995 acquittal in Los Angeles in the stabbing deaths of his ex-wife and her friend. He testified in May that he never knew any of the men with him were carrying guns. Bell, in her 101-page ruling, concluded that Simpson asked men to bring guns, knew they had weapons and asked several times if they were armed. The judge also found that Galanter made errors. But she said the evidence against Simpson was overwhelming and his current attorneys failed to demonstrate how errors at trial and in his initial appeal would have changed the outcome of his case. Clark County District Attorney Steve Wolfson said Tuesday he was confident the state Supreme Court would uphold Bell’s decision. H. Leon Simon, the prosecutor who handled the May hearings against Simpson, noted that Simpson’s lawyers will be asking the same state high court that denied his initial appeal and rejected his request for rehearing to now grant him a new trial. "I don’t expect them to get any relief from a Nevada Supreme Court which didn’t seem to have any sympathy for Mr. Simpson on direct appeal," Simon said.